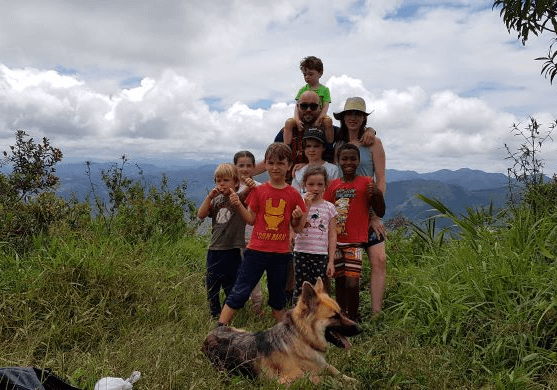 This 2-3 day tour will give your entire family an unforgetable experience at our Eco Farm. Children can put their hands and feed in clay, milk a cow, do horseback riding, jump in a natural pool or hike up the mountain. 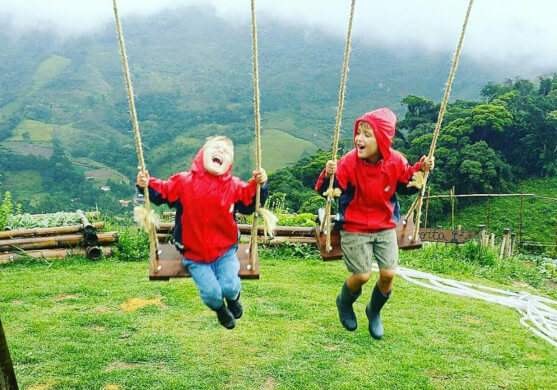 You as parentes can participate but also take some time to rest and enjoy the beautiful scenery of the Eco Farm. You will also be staying in a bioconstruction house with incredible views over the mountains covered with the atlantic rain forrest. 2 days = R$ 1000 (+/-€ 230) P.P. 3 days = R$ 1300 (+/-€ 300) P.P. Accommodation & Food included. Children get a 50% discount. This 2-3 day tour will allow you to get to know the incredible views of the atlantic forrest mountain region. You will be able to wild camp in the mountains, see the sunset. We also offer you the opportunity to experience life on a Eco Farm that is working towards self-sustainability. You will be able to apply bioconstruction and agroforestry and get an idea about life on a eco farm. 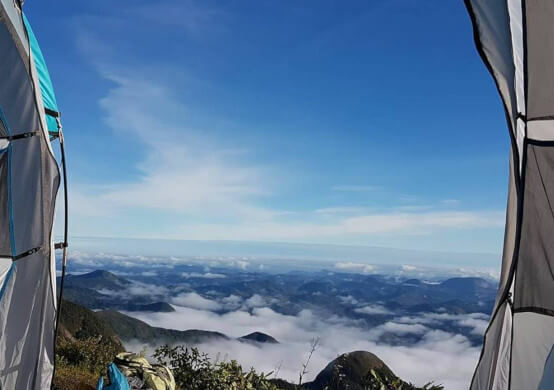 In case you book 3 days you will also be staying in a bioconstruction house with incredible views over the mountains covered with the atlantic rain forrest. RESERVE NOW! 2 days = R$ 1000 (+/-€ 230) P.P. 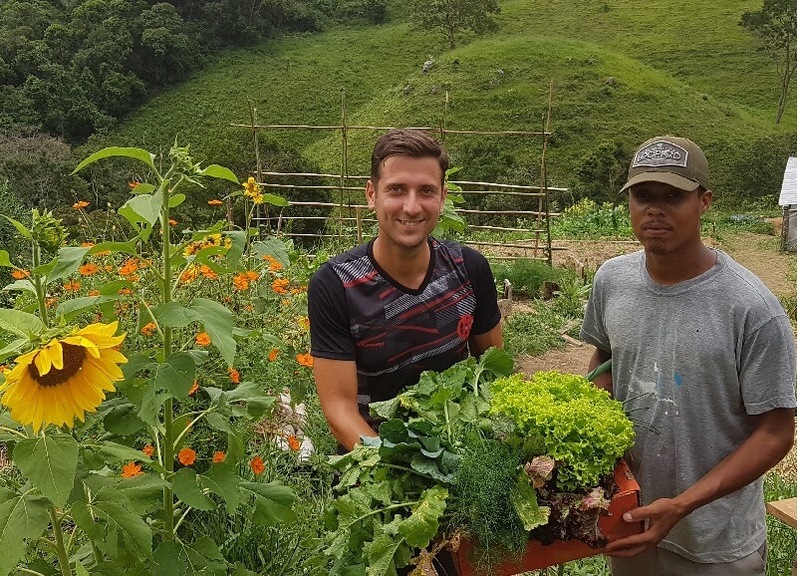 This 2-3 day tour will give you a hands-on experience on a Eco Farm that is working towards self-sustainability. 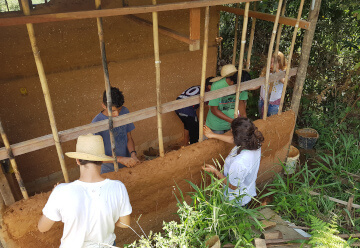 You will be able to apply bioconstruction and agroforestry and get an idea about life on a eco farm. You will also be staying in a bioconstruction house with incredible views over the mountains covered with the atlantic rain forrest.